Would you like to wake up every day looking forward to going to work? Do you want a job that is in harmony with your passions, values and deepest interests? Do you want a job that is deeply rewarding and gives you a sense of meaning and purpose? That allows you to be who you truly are and who you truly want to be? 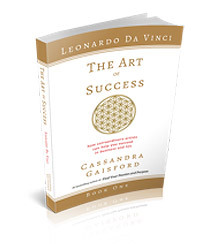 If you’ve ever thought, “I could do anything if I only knew what it was“, yearned for more passion, or struggled to get a job this book will help you get the edge. 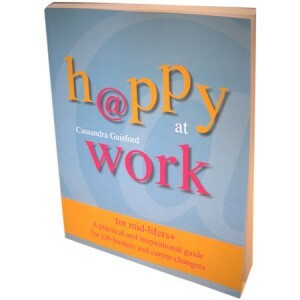 Happy at Work: for mid-lifers addresses what you can do right now to find a job that will make you happy. It will increase your awareness of your personal satisfactors, and how they transfer into career options that you will enjoy. It will help you to think outside the square, dream and visualise your preferred future and plan an effective strategy to get you from where you are now to where you want to be. It will challenge, encourage and coach you to pursue your dreams and the life that you deserve. My hope is that your success will inspire others to have the courage and conviction to believe that happiness at work is something anyone can pursue – whatever their age and stage in life. Happy at Work: for mid-lifers contains 328 pages of inspirational and practical advise to help people in their mid-life years rekindle their passion for life and work. 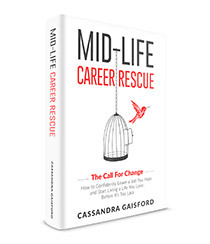 Full colour images, inspirational quotes, quizzes, action tasks and real life stories from other mid-lifers who have made successful transitions will help take the stress out of changing careers mid-life. 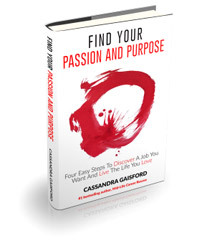 If you are serious about finding career satisfaction, joy and fulfillment, and gaining a competitive edge then tapping into the innate power of passion is vital to your success. 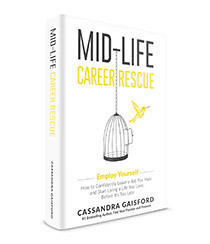 Happy@work: Job hunting for mid-lifers will help undo any conditioning that has held you back, exploring ways to create your dream job from the inside out, using inspiration, passion and intuition to inform, guide and motivate you from the heart.